North Park Noodle House is one of this writer's favorites when Chinese restaurants are mentioned. Although we do not eat here often, it is a comforting experience when we see a branch in a new location we are in. This time we have visited the branch opposite that of the Mall of Asia Arena. Its a decent sized store and gladly the staff here are the most courteous ones that I have experienced among the branches I visited. I was greeted with Nihaoma in a concert fashion by its staff. Wow first time I was greeted with gusto. Is this something they implemented store wide during my non visits, or is it just practiced in this store? Oh well. The greeting made, smile shines upon my face. What a nice way to start my early dinner. I was ushered to my seat immediately and handed a menu. Being a food blogger I would try to sample a different dish everytime I order in a same restaurant. 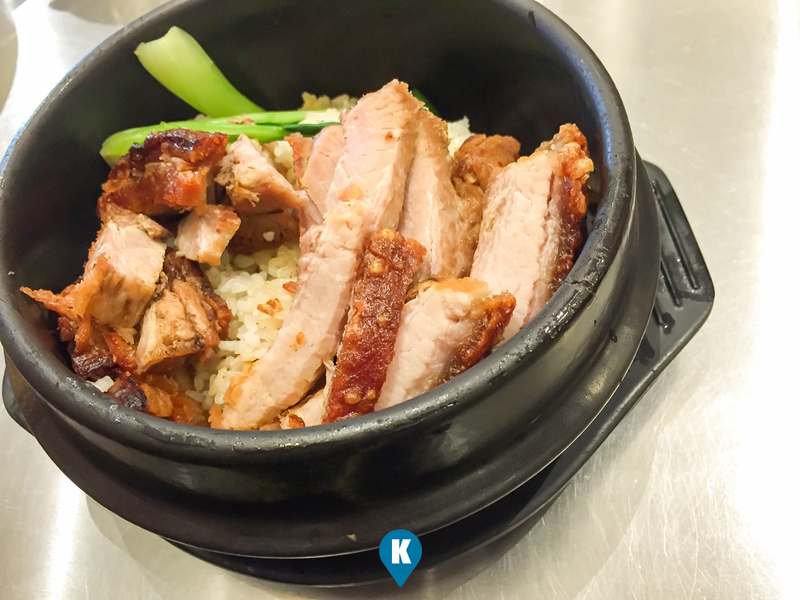 This time around I went with Lechon Macau with Fried Rice (Php273). 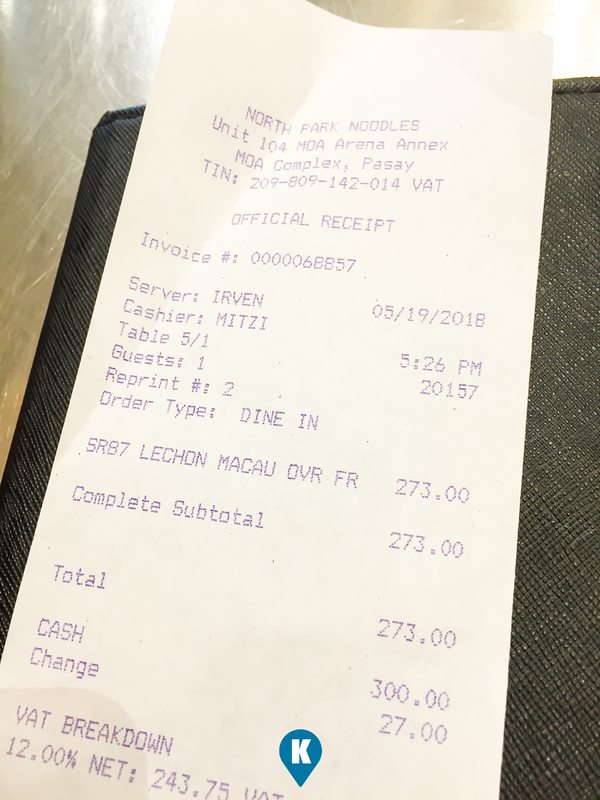 Its a bit pricey for what I usually order but for this restaurant, there's a reason for the price. First off, hot Jasmine tea is included. A fresh pot is served right away while waiting for your order. Service is fast with this restaurant so expect my Lechon Macau arriving in a few minutes. Still hot from the kitchen, it arrives with a glass of iced tea as well. Now serving wise, don't be misguided by the small bowl that it comes in. I was a bit frustrated with it at first but when the server gave me a clean plate, I wondered for what was it for? I dug in the bowl trying to peek at the fried rice underneath the pork topping and took a spoonful of it. Then I realized that the small bowl was deep. Now I know for what was the clean plate for. I had to scoop fried rice out of the bowl and place it on my clean plate. Then I took some of the pork and I proceeded to eat my dinner comfortably. To cap off my serving size review, the pork lechon macau I was not able to finish as I had a huge serving. I had to ask the servers to pack it for me to take it home. Fried rice was just right as I was full already. Tastewise, the pork was tender and meaty and was tasty. It had a bit of chinese ingredients on them and it smelled nice. Just by writing this article made my mouth water again by the thought of this dish. Price wise Php237 for such a dish. A huge serving of fried rice and pork with iced tea and jasmine tea. Not bad since it tasted good as well. It may not be full authentic chinese cuisine (for my taste) nevertheless, another dinner or eating experience well worth the price. To reach this branch, just head over to the coral way drive of the mall of asia and they are just opposite of the entrance to the Arena. For other questions, you may visit their facebook page here.